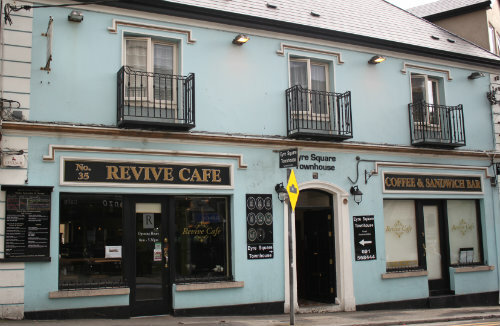 Revive Café, Eyre Street Galway has been one of the most popular Galway cafe s since it opened it doors in 2001. Revive is owned and run by Mike and Mary O Reilly’s and is located close to Eyre Square, right in the heart of the city. Open for breakfast, lunch and with an all-day menu, the focus is on buying fresh ingredients preparing from stratch, bringing out fresh, true flavours. We do things the long way but right way because we believe in what we do.